The first series of TŌKU REO was Raimona Peni's first major role on television and he was thrilled to return to the show for a second season. Between series of TŌKU REO, Raimona worked on the writing team for Kura Productions' third series of Pukoro. He also currently teaches kapa haka at Remuera Intermediate School and runs Maori lessons both privately and at UNITEC New Zealand. His teaching background and fluency in te reo Maori are vital to his role on TŌKU REO. In 2007, Raimona worked on the television reality series The Amazing Race, as the person to welcome international contestants in both Maori and English. He also worked as a Maori consultant on Kai Time on the Road the previous year. A jack of all trades, Raimona has been a sales representative for Rip Curl, a tomato picker, forklift driver, scaffolder, employer, sales manager for Te Puia and managing director of Te Manu Kaewa Cultural Group in Rotorua. Involved in a number of stage productions, Maori and martial arts, acting, music and dance, Raimona brings a decade of performance and performance management experience to TŌKU REO. 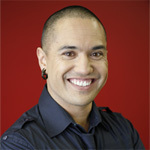 Ultimately, he would like to continue his television career and continue motivating others to learn te reo Maori. Naomi Toilalo ( nee Bradfield) is no stranger to the world of television. Naomi joins Raimona as co-presenter half way through series 3 of TŌKU REO. 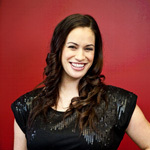 Viewers would have seen Naomi since 2006 acting on Shortland Street, Waimarie, and the Korero Mai series. She has also worked as presenter, assistant director and production assistant for the Maori Television youth programme Tu Wera. Naomi has also been a presenter and worked behind the scenes on Pukoro, the popular TV series for children under 5 that is produced by Kura Productions. Previous roles include presenting Cyberworld MTV and another children's show Tau Ke. She was also a voiceover artist for Maori Cartoons by Kiwa Film Productions, speaking and singing in Te Reo Maori. Born in Otago to a non-Maori speaking family, Naomi studied Maori language and culture at Otago Polytechnic achieving a certificate in Te Ao Maori in 2001. She then spent three years at Otago University studying a Bachelor of Arts degree majoring in Maori studies with a minor in theatre studies. Future plans definitely include further presenting and acting work. She wishes to keep in the Maori field as much as possible and has a strong interest in dramatic acting ever since her role in Korero Mai. In addition to TŌKU REO, Raukura Huata is currently studying a Bachelor of Commerce at the University of Auckland and works as an advertising account manager for Mai FM. Raukura first worked as a production assistant/researcher for the series Arero in 2004. For a few months she also produced Mana Wahine documentaries at Radio Waatea. Arero producer Kim Webby was impressed with Raukura’s hard-working nature and invited her to work as a translator on theMarae DIY series. In 2007, Raukura went on to do a second series ofMarae DIY and worked as a Māori translator for Kiwa Productions’ Kaitiaki. It was that same year Raukura landed her current job at Mai FM. 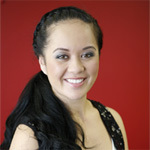 She also spent some time transcribing and translating for the show Lost in Translation and a second season of Kaitiaki. Raukura’s extensive television credits, work experience and Māori language abilities have been invaluable.